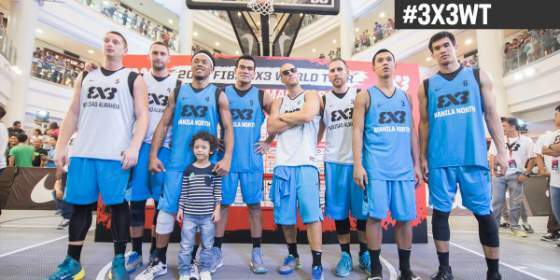 FULL VIDEO: 2015 FIBA 3X3 World Tour - Manila Masters - Balita Boss! The 2015 FIBA 3×3 World Tour is all set for grand opening in two-day tournament in the Philippines. The Manila Masters, the first stage of the event, will be played in Robinson's Place Manila from August 1-2. The FIBA will stream the basketball action on their official YouTube channel. The competition will start at 2:10 pm on Saturday. The top-two placed teams from each pool advance to a standard knock-out round which starts at the quarter-finals stage, from 1:45 pm on Sunday. The Philippines will enter three teams in the competition, the defending champion Manila West, Manila North and Manila South. Watch day 1 of the 2015 FIBA 3x3 World Tour tournament in Manila, live on the FIBA 3x3 YouTube channel.